Asynchronous participation in volunteering social systems is mainly based on various communication and collaboration tools. Supporting creativity in such groups during the process of concept generation is one major challenge to reach high quality working results. 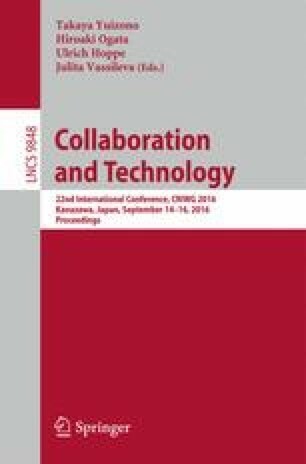 This paper presents a collaboration tool supporting the creative process of concept generation. The solution focuses the support of a concrete social system with loose structures and that aims open participation, as discussed in a case study. At the end, the paper shows an evaluation of the solution itself with regards to the described social system.